In Israel, cannabis is defined as a "dangerous drug" and it is regulated under the Dangerous Drugs Act of 1973. According to this Law, any use of cannabis is prohibited unless permitted under a special license by the Director General of the Ministry of Health, or anyone empowered by him. Following legal petitions of single patients to the Supreme Court, albeit with no rulings, the first medical cannabis licenses were issued in the 1990s. Within two decades, the number of licensed patients has increased exponentially, and the number of licenses is currently estimated to be above 35,000. Following a government decision in 2013, Israel established a special regulatory agency within the Ministry of Health – the Israel Medical Cannabis Agency (IMCA). The IMCA defined detailed criteria and specified a list of indications that cannabis can be authorized for: nausea and vomiting due to chemotherapy treatment, cancer associated pain, Crohn's disease, ulcerative colitis, neuropathic pain, AIDS patients with Cachexia, multiple sclerosis, Parkinson's disease, Tourette syndrome, epilepsy (both adult and pediatric population), palliative treatment, and post-traumatic stress disorder. Nevertheless, medical cannabis licenses are granted also for other indications, e.g. epilepsy or elderly patients, if a specialist recommendation is provided, and mostly after exhaustion of all traditional medical treatments. In Israel, medical cannabis licensure by the IMCA is subject to approval of a "medical cannabis recommendation" signed by a specialist physician. The designated recommendation form can be only accessed and filed in the website of the MoH. This form then needs to be printed, signed and faxed to the IMCA. Recommending physicians ought to be specialized (or specializing) in correspondence with the medical indication for which medical cannabis is being recommended. For instance, a medical cannabis recommendation for an indication related to cancer has to be signed by an oncologist; a recommendation for pain indication has to be signed by a pain specialist, etc. Notwithstanding, across seven hospitals in Israel, cancer patients may be licensed for medical cannabis in an "in-house" procedure. The process of medical cannabis authorization is detailed in the website of Israeli Ministry of Health. Israel has been a central place for cannabinoids research for many years, mainly thanks to the decades-long scientific work of Prof. Raphael Mechoulam. Indeed, research of medical cannabis is allowed in Israel, and currently there are many research projects undergoing in Israel. There has not been any specific court ruling in Israel regarding the use of medical cannabis. However, the regulation of medical cannabis has been influenced and motivated from patients' petitions to the Supreme Court. For example, the first license for medical cannabis was granted to a patient who made a petition to the Supreme Court against the Ministry of Health. In order to avoid a precedent ruling of the court, the license was granted. In a more recent example, the Ministry of Health has cancelled a medical cannabis license who got pregnant. The patient appealed to the Supreme Court, and her license was returned to her. Following the approval for herbal cannabis, the patient receives it directly from a certified cannabis supplier. Currently there are eight certified suppliers, who grow the cannabis in Israel. Herbal cannabis is authorized as a raw material (flowers) or as oil. The distribution is either in special dispensaries or delivered directly to patients' homes. The allowed dosage ranges from 20 to 100 grams of medical cannabis per month. In certain cases, the amount may be higher. The Israeli MoH is currently working to expand the medical cannabis program by investing more resources in the "Medicalization of Cannabis", which is pursuant to a newer government decision from 2016. 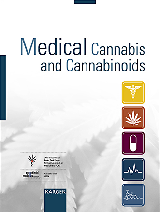 This program includes detailed guidelines and medical standards for the entire "medical cannabis chain" – growing, manufacturing, and eventually distribution in pharmacies and guidelines for treating physicians. Recently, the IMCA trained dozens of Israeli physicians, who will eventually be certified to issue directly medical cannabis licenses, without need for approval from the IMCA. The number of physicians that participated in the designated course is around 100, and more training courses are planned to take place in the future. This training is a part of a larger program, named the "IMCA CannaCopeia" - a guidance manual for physicians prescribing medical cannabis, based on the standards of Good Clinical Practice ("IMC-GCP"). 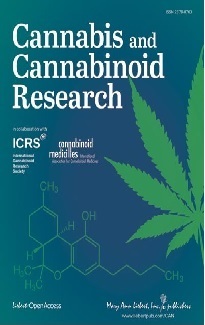 This manual is the base for the medical cannabis accreditation course. After the implementation of the reform, medical cannabis will be distributed in pharmacies. Although this reform was originally scheduled to be implemented during 2017, it is currently estimated to be fully executed by 2019 or 2010. Sativex is distributed in Israel for the indication of MS and cancer pain. Other cannabinoid medicines are currently not distributed in Israel.